What do you think would give your employees more satisfaction? Better pay? Better office? A more prestigious position with more authority? For sure these things could improve their satisfaction, but would it last? We are seeing more employees dissatisfied with their jobs. In Gallops latest state of the American Work force report, 51% of employees reported they are not engaged at work. These employees are looking for a new job or looking for openings. US workers are confident and ready to leave. A big reason employees don’t feel satisfied is because they don’t feel appreciated. 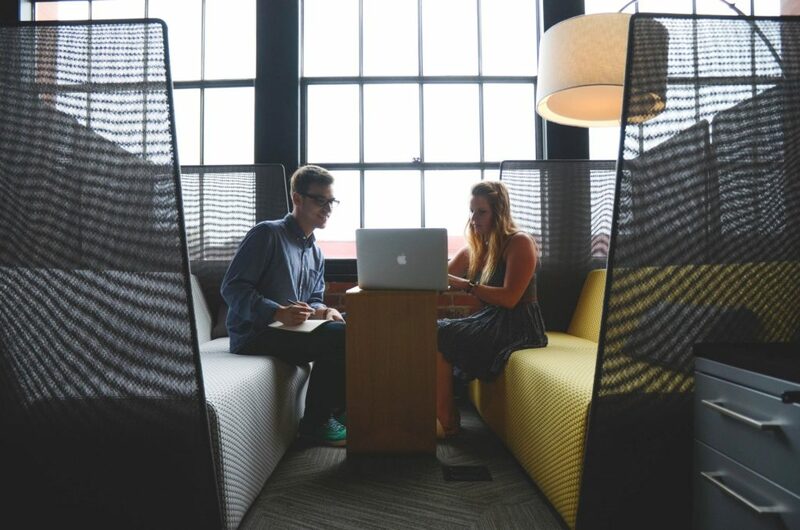 Gallop reported that only 3 in 10 employees strongly agree that in the last 7 days they have received recognition or praise for doing good work. According to the Gallup study, employees report that the most meaningful recognition comes from their manager. I was reminded by my friend the other day just how important recognition is. She told me how she made major contributions to a technology project. She worked hard to ensure the project delivered on time. After the project was over, the managers handed out thank you cards to those who worked on the project. The problem? They somehow neglected to give my friend a thank you card. To say she was upset would be a major understatement. It’s funny, some of the basic lessons we learn when we’re toddlers about human nature, we lose sight of as adults. When we were kids and we did something good, our parents and teachers gave us positive reinforcement. They would tell us how happy they were with what we did, and it made us feel great. Not only did it make us feel great, but it motivated us to continue to improve upon the positive behavior. The result was an emotional connection that fostered positive behavior and positive feelings. Here’s my advice to managers, or anyone who wants to improve an employee’s satisfaction, its really simple. First, try to slow down. We are all so busy and distracted that we become overwhelmed and lose sight of what’s important. Start to work on your self-awareness and mindfulness. Once you’re able to slow down and see the bigger picture around you, you will start to see the good work of others. Once you realize an employee has done a good job, let them know personally how much you appreciate their efforts. Simple, right? Yes, it may be true that not all people are motivated by intrinsic factors. Some people for example would be horrified if they were recognized in front of a crowd. Others may love the spotlight. When I refer to recognition, I’m talking about thanking someone in person for a job well done. Email is good too, but there’s something about that in person recognition that really enriches employee satisfaction. So, go ahead and start providing personal recognition to your employees who deserve it. We can’t afford to have our good employees dissatisfied and unmotivated. Remember, we all have an inner need to feel appreciated. 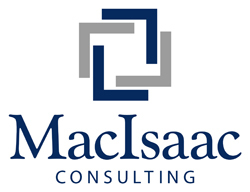 About the Author: Mike MacIsaac is the owner and principal consultant for MacIsaac Consulting. Mike provides leadership as an IT Project and Program Manager as well as an Agile Scrum Master. You can follow Mike on Twitter@MikeMacIsaac or subscribe to Mike’s blog. Over the years, I’ve worked for a variety of different managers. One manager I had took command and control to a new level. He mandated that his staff attend 7am onsite meetings, in the dead of the Minnesota winter. Commuting to work in negative 20 degree temperatures, to arrive by 7am, was beyond miserable. It was almost as bad as sitting through his staff meetings. Another manager I had would call me into his office to have “one on one” meetings. A more appropriate meeting title would have been “one”, because he was the only one who talked. He talked at me, about himself mostly. He also regurgitated high level corporate jargon he overheard in leadership meetings. One time after leaving his office, a coworker handed me a pen and said “do you need this to jab yourself in the eye”? I guess I wasn’t the only one who suffered through these one on ones. I could go on about bad experiences with managers but I’ve also had some great experiences. The managers I loved had some great qualities. They were compassionate, kind, encouraging, intelligent, self-aware and trust worthy. The one thing all my best managers had in common was empathy. Empathy is one of the pillars of emotional intelligence. The word empathy derives from the Greek word empathies, “feeling into”. Empathy is the ability to sense the emotions of those around us. People who have strong empathy can feel the feelings of others as if they were their own. Empathy is different from sympathy, which is feeling self-pity or sorry for others. With empathy, we may not even agree with others, but we can understand and sense how they feel. When I would sit down with my empathetic managers, I felt they wanted to hear how I was doing. It wasn’t only about the work, it was also about me as a person. They listened and cared. They didn’t try to have all the answers. Instead, they were able to connect. We had a dialogue between two people who wanted to help each other. If you are in a position of managing others, I challenge you to ask yourself if you have empathy? Are you getting to know your team, and are you trying to help them be successful and grow, or are you using people as a means to get ahead in your own career? None of us want to think we would use people to get ahead, yet this behavior can happen to anyone. It takes self-reflection and humility to get an accurate picture of how we treat people. One of the best tools we can use to improve empathy is to ask for feedback. Ask your direct reports and colleagues how they feel when talking and working with you. What do they like, and what do they wish was different? With direct reports, it may help to get anonymous feedback (surveymonkey provides a good online tool). This allows people to be comfortable telling you the hard truth. Once you get honest feedback, you can then take steps to improve your empathy. I once got feedback, through an anonymous peer review, that I was too controlling of my project team. The ironic thing was that I always thought I was the opposite. I needed this feedback to get a clear picture of reality. In my case, I had to take steps to change how I interacted with the team. I still need to work on this and watch how I’m treating others. In summary, I hope I can emulate my favorite managers, and show empathy as they did. I know it takes work, but if I can continue to practice and get feedback from others, I know I can improve. I’ll end with a quote one of my favorite authors, Steven Covey. In the 7 habits of highly effective people, Covey writes: “If I were to summarize in one sentence the single most important principle I have learned in the field of interpersonal relations, it would be this: Seek first to understand, then to be understood. This principle is the key to effective interpersonal communication” (Covey, 1989). At some point you have probably worked for someone who lacked empathy. I will never forget a manager I once had. He was like a robot, with no ability to connect on an emotional level. I was baffled that he was in charge of managing people. Yet, people like him get put into “leadership” positions all the time. So, what is empathy and why is it so important for leadership? Merriam Webster defines empathy as “the feeling that you understand and share another person’s experiences and emotions: the ability to share someone else’s feelings” (Webster). The word empathy derives from the Greek word empatheia, “feeling into”. Empathy is the ability to sense the emotions of those around us. People who have strong empathy can feel the feelings of others as if they were their own. Empathy is different from sympathy, which is feeling self-pity or sorry for others. With empathy, we may not even agree with others, but we can understand and sense how they feel. Empathy is one of the components that make up emotional intelligence (EI). The other components that make up EI are self-awareness, self-regulation, motivation and social skills. Today, leaders need to have both strong IQ and EI. There has been much research done on the value of EI in leadership. 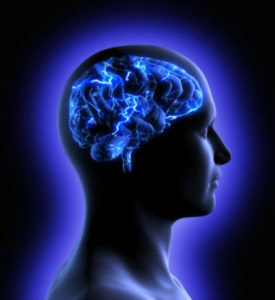 The research indicates that the greatest leaders have a high level of emotional intelligence. The purpose of this post is to drill deeper into the importance of empathy in leadership. 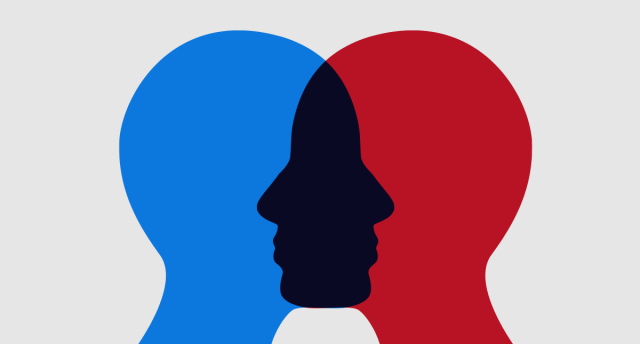 Empathy may be the greatest pillar of emotional intelligence. Throughout my career, I have found that a lack of empathy is common problem among management. This is particularly true in the technology industry. In IT, we think of managers as people who think in a linear way of facts, all about computation and logic. In business, we think of managers as people who should have the ability to connect with others. I contest that we can no longer afford to separate these two groups of people. Why not hire and promote people who are both smart and good with people, regardless of industry? Why not teach leadership, regardless of one’s position title? Why not teach the importance of empathy? Empathy in general gets a bad rap in the business world. In business, we think we need to be tough. Only the strong survive. Don’t let emotions get in the way. There’s no time to be empathetic to customers or employees. This is a great misunderstanding. Empathizing with employees and customers has a direct positive effect on the bottom line. Why is empathy important for leadership? Being a leader requires interpersonal relations. I don’t care if you are CEO, if you don’t connect with others, you are not a leader. Steven Covey, author of the 7 habits of highly effective people, writes: “If I were to summarize in one sentence the single most important principle I have learned in the field of interpersonal relations, it would be this: Seek first to understand, then to be understood. This principle is the key to effective interpersonal communication” (Covey, 1989). To understand another, we must have empathy. The best leaders are not self-absorbed, they take interest in others. Daniel Goleman is an expert and author on emotional intelligence. Goleman identified three reasons why empathy is important for leadership. They are: the increasing use of teams, the rapid pace of globalization, and the growing need to keep talent (Goleman, 1996). With the increasing use of team’s, leaders need to have a sense of everyone’s viewpoints. 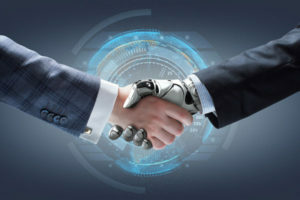 With globalization, empathy provides leaders the capability to better connect in cross-cultural dialogues. This happens through subtleties in body language and feeling. Lastly, empathy plays a key role in the retention of talent. Empathetic leaders will do what they can to develop employees and keep them happy. Most individuals that lack empathy believe if they focus only on themselves, they will get ahead. In reality, the opposite happens. People who only care about their own career will only go so far, but those who enable others to grow and flourish will rise to new heights. This goes back to the sound moral principle; if we give we will receive. Practice humility – Humility is the ultimate display of leadership. It’s what separates the men from the boys. What our ego wants us to believe may be completely different than reality. To lead with empathy, you need to understand that you don’t have all the answers. You need to appreciate that someone much lower down on the org chart than you, may know much more than you. In fact, they may provide more value to the organization than you. With this in mind, treat everyone, regardless of their title, with the same amount of respect. Focus on listening – Attune yourself to the person who is communicating with you. Observe their body language and facial expressions, as well as hear the words they speak. Before you state your view point, make sure you understand the other person. For more on listening with empathy, see my blog post here. Express that you care – Expressing that you care can be effective, but be careful, you can’t fake it. I often manage projects that need software testing. I always make a point to the testers that I care about how they are treated. Since I worked as a software tester, I know how difficult it is. I do what I can to let the team know I care, and I am genuine. Understand that you don’t always understand – Accept that you don’t always understand situations. This gets back to practicing humility. If someone starts missing work, don’t jump to the conclusion that they are slacking. Give people the benefit of the doubt. That person may have a good reason for needing to take personal days. Kanye West provided a great example of what can go wrong when we jump to conclusions. During one of his concerts he told everyone to stand up. When one person didn’t stand up, he got frustrated and pointed out the person who wouldn’t stand up. He then discovered the person didn’t stand because they were in a wheelchair. Don’t jump to conclusions! Put yourself in their shoes – Try to put yourself in the other person’s shoes. Another way to say this is, try to relate and not compare. If someone tells you they are struggling with an issue, try to relate. Think about how you too have struggled with a similar issue. Before jumping right into what you think they should do, talk about how you relate. Maybe you faced the same problem once, and it made you stressed. As Managers, we think we need to have immediate answers. Refrain from diving right into solutions. Instead, take a minute to relate and connect. By taking the time to show empathy, it provides relief to the individual who came to you with an issue. After making that connection, then you can get into what to do next. By connecting first, the solution and next steps will be much more effective. One of my favorite books is “the 7 habits of highly effective people”by Stephen Covey. In this book, habit 5 is “seek first to understand, then to be understood”. Covey describes empathic listening as the highest form of listening. He writes: “Empathic (from empathy) listening gets inside another person’s frame of reference. You look out through it, you see the world the way they see the world, you understand their paradigm, you understand how they feel” (Covey, 1989). Experts in communication estimate that 60% of our communication takes place through body language. They also say that only about 10% of communication take place through the words we speak. This is why empathic listening is one of the most important characteristic of leadership. When we are listening with empathy, we are able to understand and connect. We are listening at an emotional level, and an intellectual level. In my experience, empathic listening is lacking from our managers and corporate leaders. This is especially true in the technology industry. Part of the problem is that we don’t know we are poor listeners. We don’t know because people at work are afraid to confront us about it. 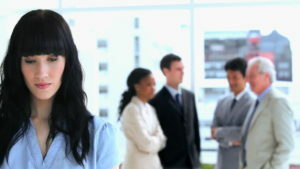 Most people at work avoid face to face conflict at all cost, especially with their manager. Unfortunately, this avoidance technique has many negative repercussions. In healthy relationships, we are comfortable confronting someone when we don’t feel understood. This is why spouses have no problem confronting each other if they don’t feel understood. Spouse’s trust each other and the confrontation is healthy. 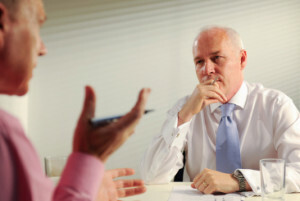 Leaders should not get defensive when confronted by employees who feel they aren’t heard. Leaders should take the feedback as an opportunity for self-improvement. They should understand that they have built trust. They should also use the confrontation as an opportunity to practice humility. For more on lack of trust and confrontation avoidance, I recommend Patrick Lencioni’s book “The Five Dysfunctions of a Team”. Lencioni describes absence of trust and fear of conflict. These two dysfunctions kill team productivity and cohesiveness (Lencioni, 2002). To listen with empathy, we need to attune ourselves to the person who is communicating to us. We need to observe their body language and facial expressions, as well as hear the words they speak. Give your full attention. Look the person in the eye when they are speaking to you. Don’t look at your phone! Focus on listening. It’s hard to hear what someone is saying when you are forming a response. Pay close attention to body language and facial expressions. What are they telling you? After you feel like you are understanding the other person, repeat back to them what you heard. By acknowledging feelings, people feed understood. Listening with empathy deepens relationships and builds trust. As leaders, we need to connect with people on a deeper level. So next time you are listening to someone at work, listen with empathy.